El mes de la patria: Few things are more Mexican than mariachi! *Note: This post is part of a Blog Hop among the Mexico Today Ambassadors in celebration of el mes de la patria and el Día de la Independencia Mexicana. If you’ve written a tribute post for this patriotic Mexican holiday, I encourage you to leave a link in the comments on this post in addition to checking out the posts from the other ambassadors participating. The official blog hop is set to only accept entries from the ambassadors. I love mariachi music like I love tacos, and if you know me well, then you know that I love tacos and mariachi music to the end of the world and back. We have a storied relationship and yes, even my iPod is full of mariachi classics. Nothing quite stirs my soul like mariachi music. I wish I could put my finger on an exact reason, but I can’t. It’s a bit like how Mexico has always felt like home to me even though I was born in the U.S. Whenever I’m having a bad day, a little mariachi music always cheers me up. Or sometimes when I’m really missing Mexico and it’s been too long since my last visit, a few classic tunes always do the trick to make me feel better and look forward to the next visit. 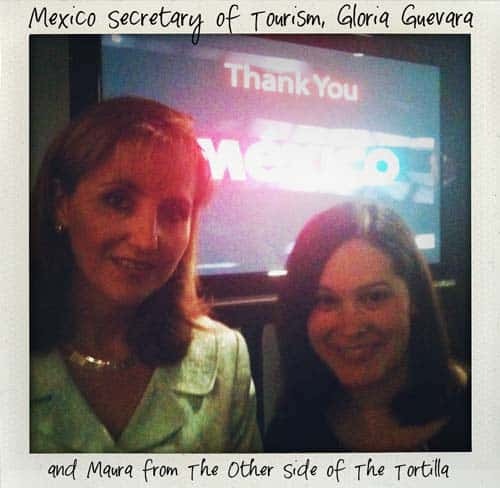 Recently, I had an opportunity to attend a special dinner in Chicago hosted by the Jalisco Tourism Board. 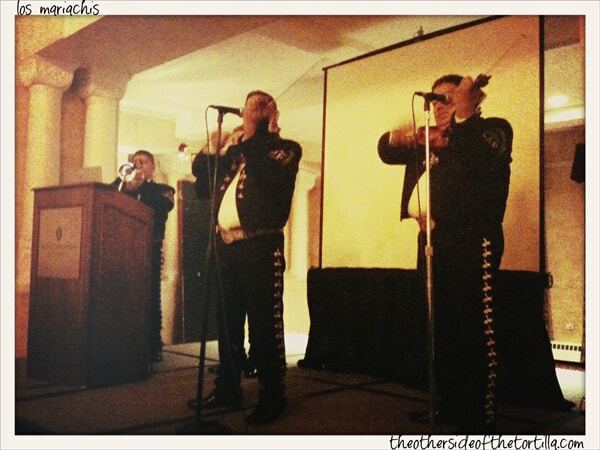 The food was fabulous, the company genuine, and the after dinner entertainment… yep, you guessed it: mariachi! But not just any mariachi band; this group was all the way from Guadalajara! It was such a surprise and a treat and most of the people I was seated with at my table were singing along. It was the birthday of someone at my table so they even played Las Mañanitas! A few weeks ago, the 18th Annual International Mariachi Conference (yes, this really exists!) took place in the state of Jalisco, and one of our cousins from Mexico City shared a link with me of a BBC World News report about a new Guinness World Record set for the most traditional Mexican dancers on the floor at the same time. To be exact, there were 457 dancers and 300 mariachi musicians from all over Mexico and other countries, including the U.S.—and some came from as far away as Colombia, Ecuador and Argentina to participate and play in the record-breaking ceremony. I was amazed watching the video. Click through to the link to watch it—I know you’ll enjoy it as much as I did! No Mexican celebration is truly complete—especially las fiestas patrias—without mariachi music. So put on some tunes (I recommend anything by Mariachi Vargas de Tecalitlán), wave your Mexican flag and don’t forget to watch El Grito tonight! I’m even pulling out my papel picado to decorate. I hope to see the zócalo of Mexico City on TV, filled to the brim with people like last year and the year before. For past years’ celebrations, check out my posts on chiles en nogada (with a video of Calderón giving El Grito), and my two posts from last year’s Mexican bicentennial: guacamole y papel picado and how I celebrate Mexico every day. How are you celebrating Mexican Independence Day this year? One of the best parts of attending tourism events with the Mexico Tourism Board is the goody bag they send you home with to learn more about new places in Mexico! Whenever I get a goody bag filled with new reading materials about destinations I already love or am planning to visit, I always feel like the kid who got the most candy out of the piñata. That’s why I’m sharing the loot with you! If you enjoyed yesterday’s post with the video footage from the César Russ photo gallery exhibit, then you’ll love today’s giveaway (items pictured here above). The beautiful soft cover book about the Riviera Maya has 250 glossy pages of stunning images from around the area with photo captions in four languages (English, Spanish, German and French) to describe the subject and the history of some of Mexico’s treasures; nature, native animals, people, places, and scenery that will all have your heart aching to visit. 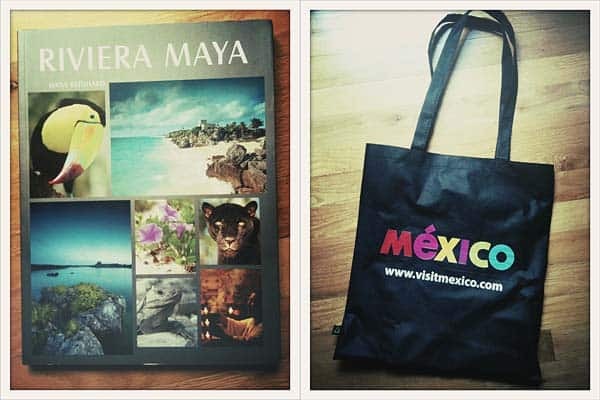 Also included in the giveaway is a black fabric tote bag with the Visit Mexico logo. Salsa Showdown: Join me for a live cooking show! 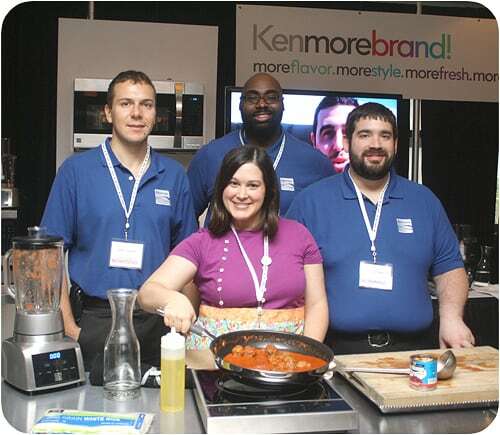 I’m proud to announce I’ll be partnering with the Kenmore Live Studio for the second time this year for a live cooking show! Tortilla fans of Chicago, I hope you’ll join and support me in the studio on Friday, November 19 as I cook off against my friend and chef/owner of Chilam Balam, Chuy Valencia. If you’re an out-of-towner, no worries: the show will be broadcast live over the internet so you can still cheer me on! There will also be video available here on The Other Side of The Tortilla the following week. 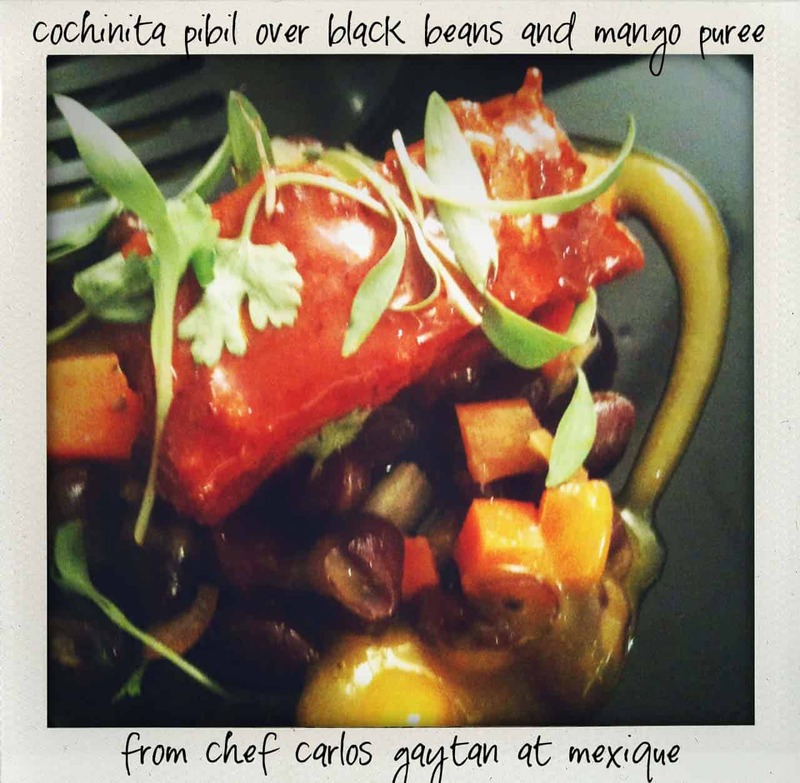 Chuy’s restaurant is one of my favorites in Chicago, so I’m thrilled to be cooking alongside him. 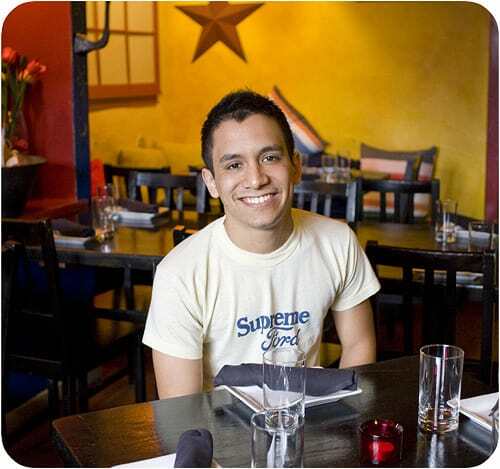 He’s a Rick Bayless-alum and also the youngest person ever to have been elevated to the position of sous chef at a Bayless restaurant when he was just 20 years old. Bayless recently told Chicago magazine that Chuy is destined for stardom, and I couldn’t agree more. 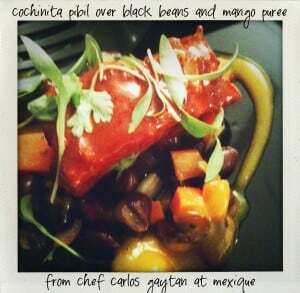 Before starting his own restaurant, Chuy also worked as Chef de Cuisine at Adobo Grill. 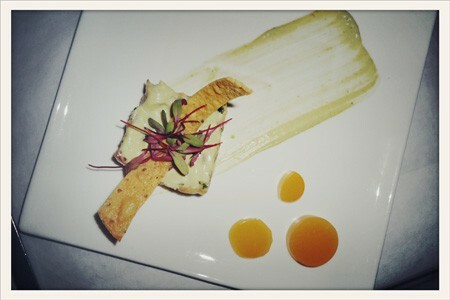 Check out his website for more about the concept behind Chilam Balam. ¿Roja o verde? You be the judge. I’ll make my salsa verde, and Chef Valencia will make his salsa roja. Will I leave him green with envy? Or will he get ahead with his red? Taste and decide for yourself. 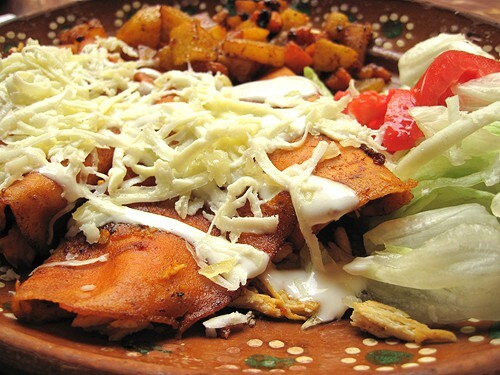 We’ll introduce you to some authentic Mexican flavors and the salsas will top chilaquiles and enchiladas. You won’t believe how easy they are to make! And as always, the audience will get to taste-test! The Mexico Tourism Board will also be on hand to support me, share information and answer questions related to Mexican food and culture. Dress to impress; the event will be livestreamed on Kenmore’s Facebook page on the Live Studio tab and seating is first come, first serve. Come early to reserve your spot! Doors will open at 6:30 p.m. and the show will begin at 7 p.m. CST. I’d love if you’d leave me a message of encouragement in the comments! Let me know where you’ll be watching from! The photo of me above at my Kenmore demo at the Ritz-Carlton South Beach in Miami is courtesy of Carol Cain, official photographer for the Blogalicious ’10 conference.